All Things That Matter Press, 9780998071787, 342pp. Sequoyah Morgan Hummingbird hates his name, his orphaned childhood in a Cherokee residential school, and just about everything else about himself. And he's different, living on the edge of reality where sharing thoughts is as natural as breathing. Even worse, the world's two oddest villains, the Moon People, orbit high above the earth in a small satellite where they manipulate him into doing their bidding. Why? They've seen World War III and humankind's fiery end. Soon Sequoyah hits rock bottom-but there are others like him who can help. In this epic tale of self-discovery, Sequoyah joins three families to sweep across continents and millennia. Serious questions about war and racism lie beneath the surface of this thought-provoking, attention-grabbing story, written with humor, satire, sensuality, and pathos. 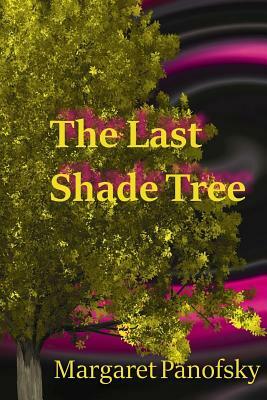 "The Last Shade Tree takes readers on an enlightening journey across time and around the world. The profound narrative, expressive writing, and wholly original concept are sure to intrigue and please a vast audience." Alex Mcle.